In this era of do-it-yourself businesses, freelancers and entrepreneurs, a service like InvoiQ should have plenty of takers. 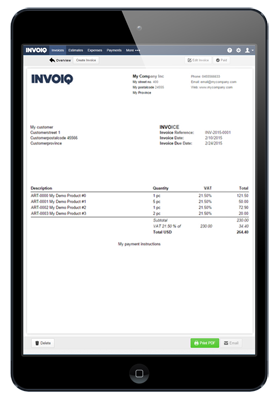 InvoiQ is a free service that provides online software for invoicing and accounting. And, unlike the packaged software that we've all heard about, InvoiQ is simplified and optimized for freelancers, independent contractors and small businesses. InvoiQ subscribers don't need to know anything about accounting. The software can turn out unbranded invoices and work estimates in a few seconds and enter payments when the checks arrive. The software also tracks expenses and generates simple reports. Those basic tools are free. For $8 a month, users get additional services such as online storage space, custom templates for invoices and other documents and the ability to email documents from within InvoiQ. The InvoiQ website includes a product tour and a form to sign up for the free version.